This year is the 100 anniversary of the birth of one of the most popular and celebrated Finnish authors: Tove Jansson, creator of those white hippo-like creatures, the Moomins (in Finnish language : muumi). This year, therefore, there are plenty of events to remember Tove Jansson and to pay an homage to her and her contribution to Finnish literature, design and illustration. 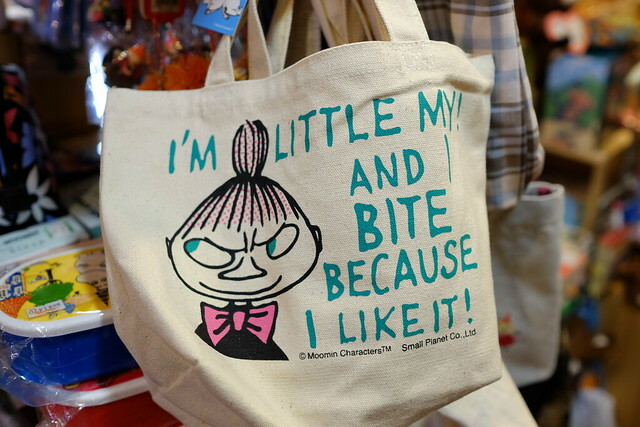 One of her creations surpasses all the others: The beloved Moomins. If you don’t know the Moomins (or moomintrolls, as they’re also called) yet, they are a family of hippo-like creatures and their friends. Their adventures have appeared in books, comics, movies and even an animated TV series. The homage to the 100th anniversary of Tove Jansson’s birth is called Tove 100. A number of special events all around the globe are happening for this anniversary. All of them can be found on the official website Tove100.com. You can search for events in your country there. 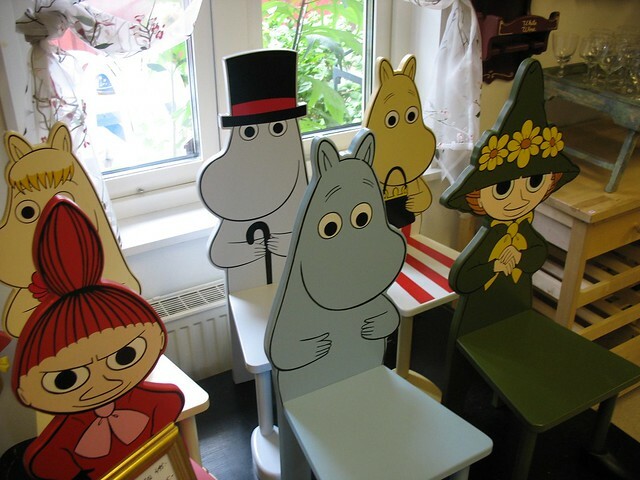 Talking about English speaking countries, there are plenty of events about Tove Jansson and the Moomins in London. Check out that link. I will nonetheless tell you about the most interesting events of them all, for me. The main event and maybe the most important of them all happens in Helsinki. It is the Atheneum museum exposition (on the street Kaivokatu 2), called “Tove Jansson art exhibition” that is currently on and will end on September 7th 2014. 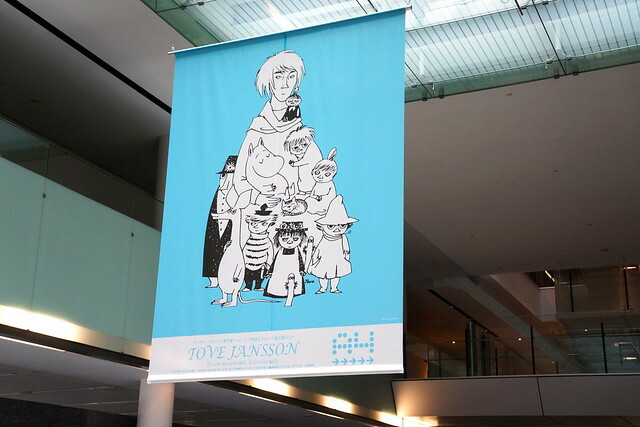 After that date the collection will move to Japan, where Tove Jansson is very popular too. There is currently a second exhibition worth visiting for all Moomin-fans: The Moomin Arabia Mug exhibition. Arabia is one of the flagship design companies of Finland and the exposition will go on until August 31st. The street is Hämeentie 135, where the Arabia museum is located, and the exhibition is called “Mugs with history”. 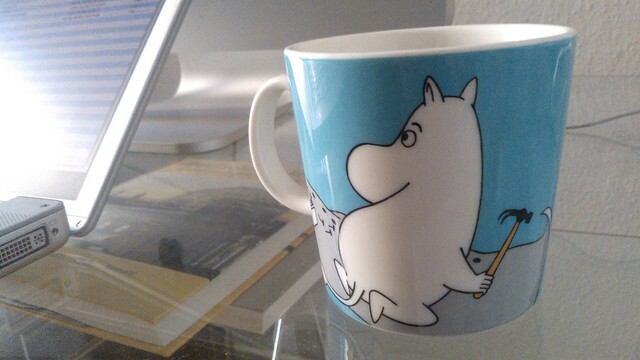 Coffee tastes better served in a Moomin mug. Finally, all of Finland celebrates Tove with two more things. The first one is that the Katajanokka park, next to the Orthodox cathedral of Helsinki, will change its name to “Tove Jansson Park” . The Katajanokka district is where she lived in Helsinki. Have you been or will you go to any of the Tove 100 events? What’s the Tove Jansson creation that you like or that it inspires you most?